Any chance there is a remote included with this model? 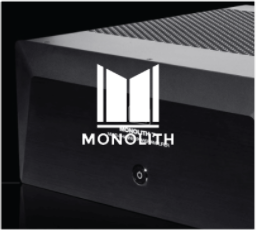 The Monolith subwoofers do not have any type of DSP built into their amplifiers so no remote is needed. They are very easy to get dialed in by using your amp or receivers room correction setup microphone. There is no separate remote, but the sub does have a standby mode that automatically turns the sub on upon receiving a signal. Sorry, but to the best of my knowledge no remote is included. There are a number of controls on the rear panel. No remote with mine. After initial setup work, none has been needed. No remote, the unit has manual switches and knobs on the back. No remote is included with this model. No, there isn’t a remote. Sorry! There is no remote included. 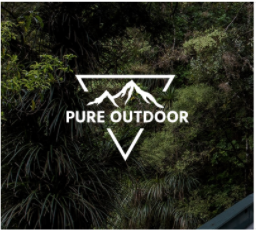 How is this different from product#24456? BEST ANSWER: Its also significantly smaller in size that the ported sub. The best way to determine the differences and similarities is to read the descriptions and comparison charts on momprice Web site about these products. I can say I prefer the ported sub for various reasons. I suggest one read a review about these subs posted by audioholics for a clear understanding of the advantages and disadvantages of ported and non ported monolith subs. That article helped me decide which was best to meet my purposes. You can't really go wrong with either. I will say that with the ported you get the benefits of both because you can plug the port to simulate the sound ofa sealed sub. Monolith subs produces outstanding clear, clean sound. One is ported, the other is sealed. You should be able to google the use of each, but the general opinion is to use a ported sub for home theatre applications, and a sealed sub for audio quality where bass definition needs to be highest. 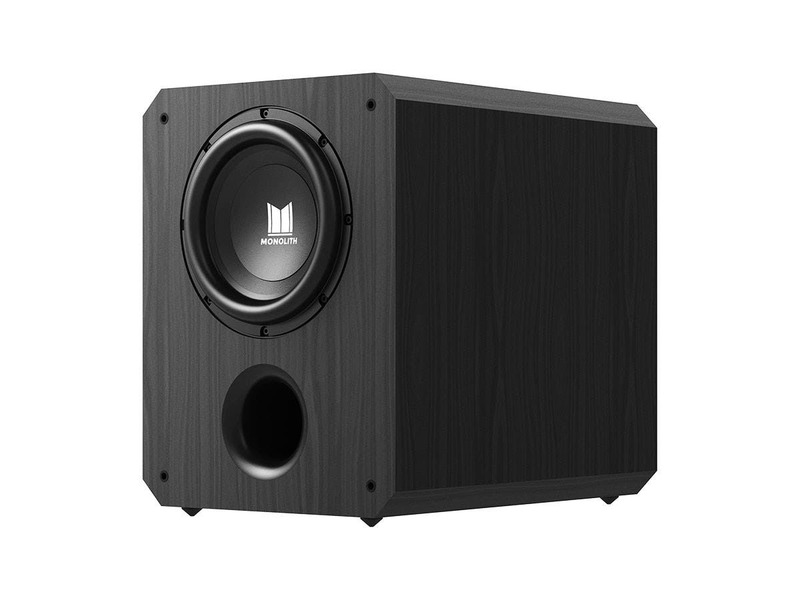 From what I can see, the M10-S has just been released and is a sealed sub, where the older one can be sealed or ported by removing the sealer from the port hole. One is sealed and one is ported. Sealed is smaller and tighter bass. The ported is larger and has more bass. 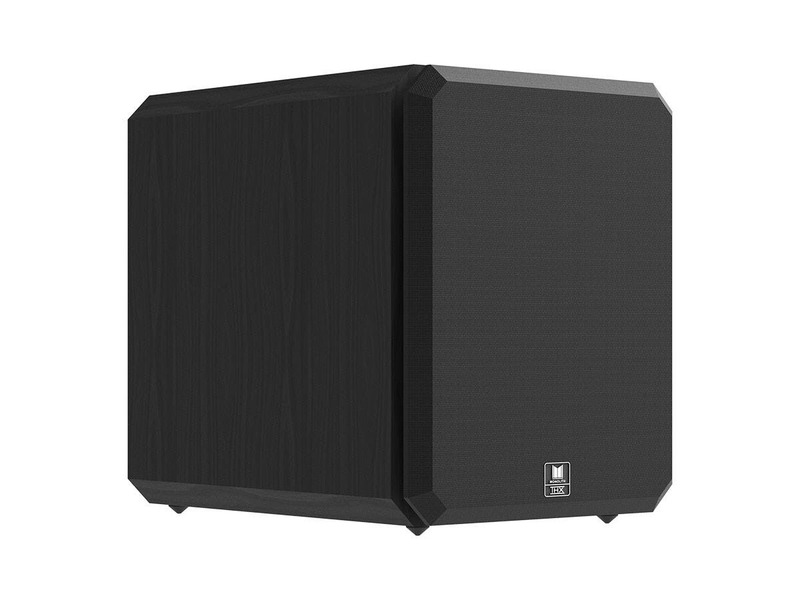 Which size of subwoofer do you recommend with klipsch KL-650f thx ultra2 system? BEST ANSWER: I would use a 12" or 15" since both those subs are THX Ultra certified. 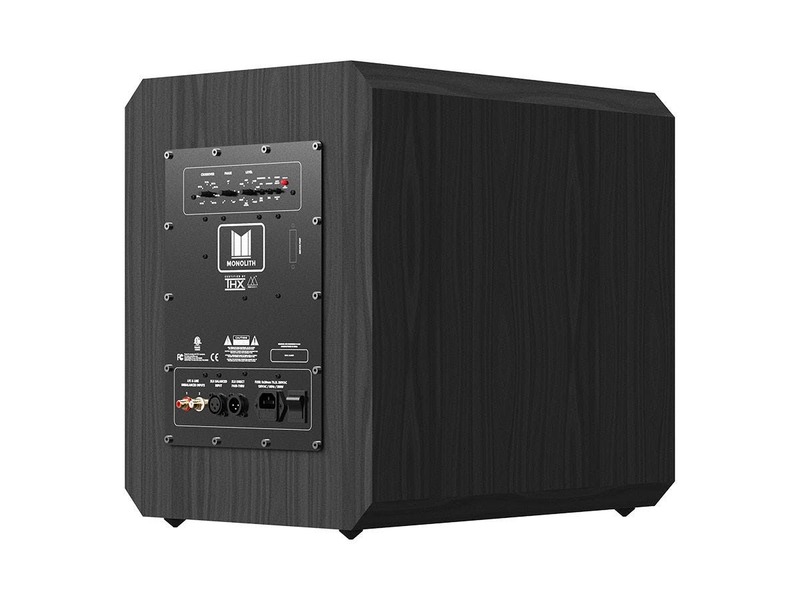 The Monolith by Monoprice 10" THX Select Certified 500 Watt Powered Subwoofer should fill the bill nicely for you. My pair of the 10" monoliths produce bass in music that perfectly rounds out the bottom with smooth, solid bass. Certain movies cause the Monoliths to project bass which you can feel. 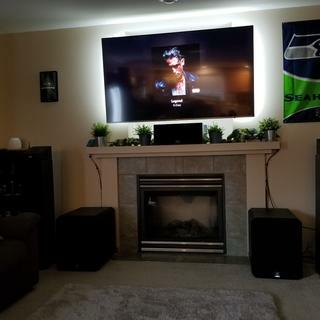 My listening/viewing room is approximately 8'x15x'20' and the 2 subwoofers perform with my DefTech tower speakers perfectly. My opinion, along with many others, is that the volume of the listening space is most important in determining if you need something larger, but these do a great job for music and movies. I think size of the sub is selected based on the size of the room. My room is open floor design with a listening area about 2,100 cubic feet. This sub is plenty of power for my room. The Level knob is on 40% and Level in AVR set to standard 0db, (and usually bass on all devices I listen music on set to max). 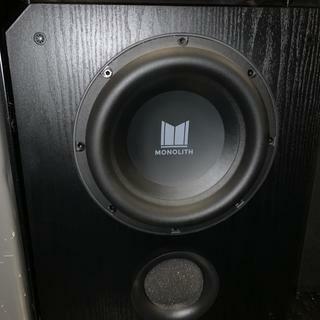 I have a pair of the monolith 10" THX Select Certified 500 paired with the Klipsch RP-8000 and RP-450C, which, in my opinion, sounds amazing, whether watching moviews, listening to cds, or streamg. I have them set for 80 hz crossover, and they blend perfectly. It's more dependent on your room size but I recomend the ported 12 for a larger room. Dual subs is better, I went with dual ported 10s in a medium sized room. Hope this helps. These subs are amazing. How big is your room ? Why 2 RCA jacks? Is that for a 7.2 ? BEST ANSWER: It’s for the case thst your preamp lacks a dedicated subwoofer output. 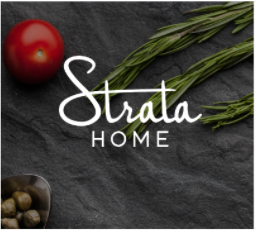 You can use strero mains as input and high frequency content can be filtered out. There is a pass-through for diasy-chaining subs, although signal is tied so the subwoofers wouldn’t be independently driven. For old L/R stereo outputs that didn't have pre out sub.. and can be used as LFE input from receiver at have LFE output. For old L/R stereo outputs that didn't have pre out sub.. or can be used as LFE input from receiver that have LFE output. is there a dedicated on and off switch ? BEST ANSWER: Yes, there is. Yes. There’s a switch that turns on power to the unit as well as a standby on/off toggle. This sets the subwoofer to either turn off after 30 minutes, or to remain on until you turn off the power switch. Yes, there is a power switch. How are you connecting this sub? BEST ANSWER: LFE out on AV receiver to LFE in on subwoofer. I'm using the xlr (balanced) input. You could also use the rca (unbalanced/single ended) inputs. Would it be better to get to 10" for a room that is 25 x 15 ( about 3000 cubic ft) or one 12"? BEST ANSWER: I would recommend a single 12" subwoofer over the 10" for that size room. You could also look at utilizing 2 10" subwoofers as well. I believe A Shopper misspelled two with a "to". I think he wants to know whether a single 12" or dual 10" subs would work best in his 3000 cu/ft room. Get yourself 2 - 10 inch Sub's you won't regret that you did, I have 2 in a 22 X 15' - 6" room and man the sound is fantastic !!! I would go with two of the 10 inch twos always better than one. I own 1 10 in monolith I'm getting one more I can't imagine what the two subs will do together the one by itself shakes my house! How to daisy chain a pair, or 4? BEST ANSWER: You would need to daisy chain by utilizing the XLR pass through for 2 or 4 subwoofers. For a 20x20 room, would two 10” or one 12” be better? BEST ANSWER: Two is generally better than one if you have subwoofer placement flexibility. You will get more even bass coverage in your room, and you will be able to deal with any nulls or room modes more efficiently. As a general rule for subwoofer coverage, its better to have 2 subs providing coverage than just one. Two subs will help provide more even coverage at the listening position and provide a wider listening position. Also, with two subs, any modes or standing waves can be dealt with a lot easier with 2 subs than just one. Subs are generally non-directional: your ear cannot tell where sound below 40 hz is coming from. Placing 2 gives you better chances of great sound. Is the crossover Linkwitz-Riley or proprietary? BEST ANSWER: The low pass filters when engaged on the subs are 4th order Linkwitz-Riley, similar to what is recommended by THX for the AVR or Pre/Pro. Is there an easy way to determine this by looking at the sub? How to input balanced stereo (XLR)? BEST ANSWER: You cannot input balanced stereo. You can use a XLR Y cable adapter to take a stereo output and utilize the XLR input. That has to do with your amp, not the sub. Most amps don't have XLR out. Not the question and irrelevant. Sub amp is in this sub and my 'system' (& others not wading in the consumer audio pool) have stereo balanced (XLR) output channels. My question remains unaddressed. The question does not depend on the sub, your question is irrelevant. Input to the sub depends on the output from the receiver. Check your receiver manual. Can you add maximum SPL in the various modes (THX, etc.) to the spec sheets for all of these new subwoofers? Thanks! BEST ANSWER: We will be adding CEA-2010 @2M burst and RMS measurements by frequency in the near future. For long term, is a pair of tens as good as the twelves at normal listening levels? Main application music. And what is the trade off in sealed mode vs using an actual high quality sealed subwoofer? And how accurate musically is vented mode vs sealed? BEST ANSWER: All the Monolith subwoofers are very musical, and I think you will find them to be tight, even in ported mode. The main trade off in sealed vs ported is output down low. Is the 10" driver cast or stamped steel? 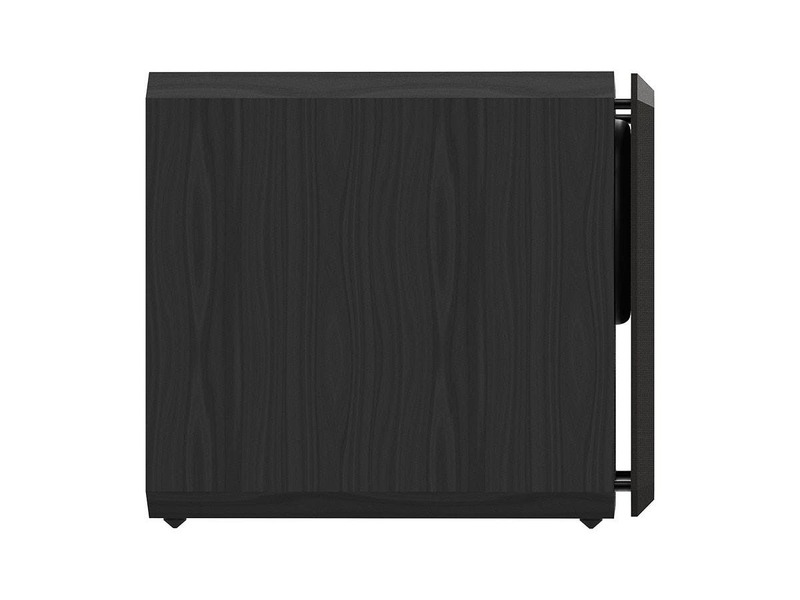 BEST ANSWER: All the Monolith subwoofer drivers are cast aluminum not stamped steel. Under the "Full Specs" section the the frequency response is listed as 31-200Hz sealed with THX EQ, however in the manual it is stated as 20-200Hz for the same configuration. Which is correct? BEST ANSWER: We have posted the CEA-2010 measurements for all modes. Uhm... OK but that still does not correct the discrepancy, either the manual or the specs on the website is incorrect. 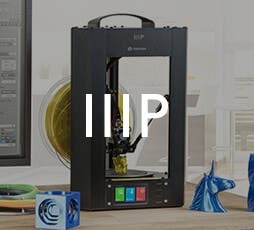 BEST ANSWER: Not by Monoprice. Can it be placed on the side? my dbx driverack has stereo (L&R) balanced subwoofer outs as XLR - how can those be accommodated (input) with only a single XLR in ? - btw, have no need/use for daisy chaining 'nonsense' but balanced stereo inputs would be a major step in the right direction! BEST ANSWER: You would have to make your stereo XLR into an Y-XLR adapter to a mono signal. Is there a voltage switch between 110V and 230V? BEST ANSWER: There is not. Are the in-house CEA-2010 numbers listed in THX mode or Extended mode? Is the 19.7" depth measurement including the grill? If not what is the total depth with the grill installed? Where near San Francisco can I hear it? Bought this just because I wanted to create a THX lifestyle so I started with the most important thing for that and is this amazing looking 10 inch wish u could’ve gotten the biggest and baddest but couldn’t really afford it and that’s another reason why I got this sub,nice settings in the back specially the THX modes, a bit heavy,Overall I would recommend this to anybody looking for an affordable sub that can pack a punch I was upgrading from 2 Sony 150W and this one alone is enough thanks Monoprice for taking the time to make the best home sub I’ve heard in my 27 years, even though big and heavy my girlfriend let me have it at the house and loves how the sub looks.I was fully convinced because I read the Audioholics review and all they said was positive things about this so and there u have it guys. A great sounding subwoofer. I would suggest that Monoprice consider letting people change the Amp or other parts rather than sending the unit back if one has problems. The weight is so heavy and most people who buy a product like this have some knowledge on how to change parts. I would also suggest that Monoprice keeps the amps and speaker parts in stock. It will be easier for the consumer and cheaper to do this for Monoprice if service is ever needed. Polk, and many others do this. Buy it during the 20% off sale, you won't find a better subwoofer for the price.This thing does not fail to impress during each performance. Happy , will buy another one . So far I'm really impressed. Clear, low, tight bass. I would say you would be hard pressed to find a better bang for your buck in this price range. 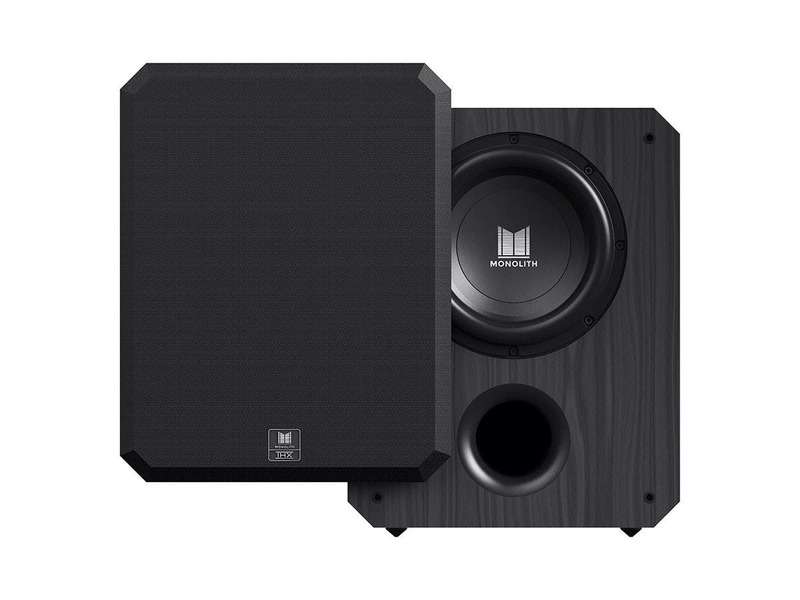 I know there's a few contenders (SVS, RSL, HSU)...but having heard at least a couple in this same price range I feel like the Monolith is the better value. Construction appears to me to be fantastic and the sound to match it. It's a keeper....now I want 2 of them! absolute beasts! 5 stars for sure! this thing is an absolute beast! built like a tank! i bought two at the end of February when they had a 20% off sale going on. i had a budget for dual subs to replace my dual decade old but still awesome klipsch subs. getting these puppies at $399, no tax and free next day shipping?! no brainer! got them in 2 days later, Cali to Vegas. saved a couple 100's and gained deep low foundation shaking bass! two off these definitely drop below 20hz easily and set up is s breeze, just plug em in, set them to thx ref settings and run auto EQ and if u need moarrrr bass then u can mess with other settings, personally im happy with the auto setting as it gives me more than enough to shake the concrete tile floor, on that note, make sure u put on some heavy duty rubber feet on these to get rid of the unwanted window rattling, i used four trailer ramp bumpers on each sub using double sided glue pads in place of the small included feet, they add about 1 1/2 inches of height and they look very similar to the svs iso feet. great deal as it is, but if u can catch it on sale, no other sub can compete with these at $399 72lbs 500wrms 18hz each, absolutely love these things and its only been two weeks! Awsome subwoofer! I highly recommend this for massive deep bass. Definitely worth the money if you are looking for a loud subwoofer.